Arranged by Mark A. Brymer. Choral. Movies, Gospel, Pop, R&B. Octavo. 8 pages. 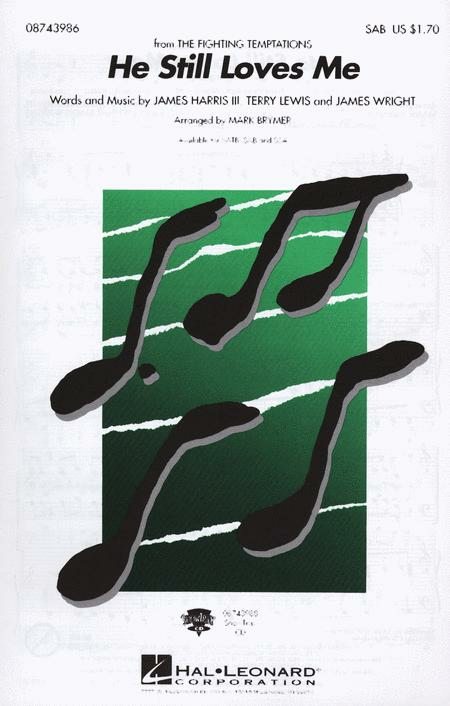 Published by Hal Leonard (HL.8743986). “The Fighting Temptations” was the movie hit of the summer. He Still Loves Me epitomizes the message of the film. Upbeat, positive and brimming with life, this combination of modern R & B and gospel results in a spiritual song for today. Available: SATB, SAB, SSA, ShowTrax CD. Approx. Time: 2:30.